Everyone, we have a guest today! Please welcome the amazing Diana Peterfreund, author of the Secret Society novels, Ascendant, Rampant, and For Darkness Shows the Stars. I LOVED For Darkness Shows the Stars, so I was over the moon when Diana agreed to answer my questions. Be kind! Okay, icebreaker question: favorite superhero? I am partial to Toph from Avatar: The Last Airbender. But if you mean traditional comic book superheroes, I think Storm. Aaah, Toph! I think the greatest earthbender EVAR can safely be called a superhero, classical definition or no. Speaking of classics (okay yes, very bad segue): what was it about Persuasion that made you want to do a retelling? It’s one of my favorite novels and I don’t think it necessarily gets the love of other Austen novels. I’ve always loved reunion romances, and this one is such a doozy. I hope I bring this marvelous story to a new audience. 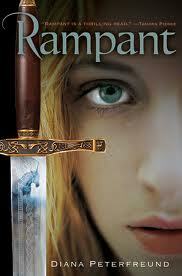 It’s one of my favorites too, but how did planning a retelling change how you read the original? I’m afraid I may have passed into the memorization phase with Persuasion at this point. :-) I do find now that I have a special appreciation for those bits of the story that I did not, for various reasons, incorporate into my retelling, just because I haven’t spent months and month analyzing them from every angle the way I have with the rest of the book (the most prominent example may be Mary Musgrove’s family life). 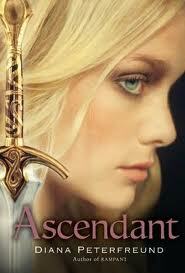 Obviously Astrid and Elliot have very different stories- was one more difficult to write than the other? Every book and every character has her own difficulties. Elliot was a challenge to me because her shyness and silent self-possession, inherited from her Austen counterpart, was a very different type of character than I’ve ever written before. All my heroines have such different strengths. Amy’s weapon of choice is her smart mouth, Astrid’s is… well, ACTUAL weapons, and Elliot’s is her constancy and willpower. What is an ideal day of writing like for you? An uninterrupted one — rare enough with a toddler around! I still find it amazing how much my mood is lifted by getting a good chunk of writing done. I think words are like endorphins- the more on the page, the better the mood, even if it does take discipline to get them there. Is there anything about a writer’s life that continues to surprise you? How much I still don’t know. There’s a saying that “writing a book teaches you only how to write THAT book” and it’s true. Every book comes with a unique challenge, lessons to be learned or relearned. And publishing works that way too. I think it’s because we’re in a time of such rapid change, but even stuff that worked two or three years ago in publishing is not the way things are done now, and I’ve been in this business for only six years. When did you realize you actually wanted to BE a writer, rather than simply someone who writes? I think I wanted to be a writer since I knew what writing was — when other first graders were learning to use vocabulary words in sentences, I was writing stories with my vocab lists. I had this awesome epic going on in my little black and white composition notebook. But I didn’t think that was something I could do for a living — I keep waiting for the other shoe to drop. Have you ever had a smaller/side character whose story you wished you could explore more? Often! That’s one of the things I love so much about short stories; they give me that opportunity. I’ve written connected short stories (usually free) for all of my books, and they are most often from the perspective of minor characters. In “On a Field, Sable”, my story in the free anthology Eternal Spring, I was able to more fully explore Melissende’s emotions after the tragedy on the mountain in Ascendant. In the free prequel “Among the Nameless Stars”, I could explore Kai and the rest of the Cloud Fleet’s history in a way that’s only hinted at in For Darkness Shows the Stars. And of course, there are the “secret stories” on my website that tie into my secret society girl series. I really love short stories, even though I came to them the “wrong way ’round” according to most writing careers. I sold six novels before I ever sold a short story. I love love LOVE On Writing Well, by William Zinsser. I first read it when I was 14 and it’s still the basis of a lot of my personal craft philosophy. On the fiction side, I am still very much influenced by the books I read as a child and adolescent, which is probably why I gravitate to writing books for younger readers myself. Then again, I think a lot of people forget how much time your average student spends reading the classics. I read more Shakespeare in high school than out of it. Some of my favorites from childhood are the Narnia series, the Anne series by L.M. Montgomery, and The Count of Monte Cristo. And Austen, of course! What are your most anticipated reads of 2012? I’m lucky enough that I’ve read most of them. Team Human, Foretold, Code Name Verity, Born Wicked, Thumped, A Million Suns, The Book of Blood and Shadow… and they all exceeded my expectations! I know I’m forgetting some, though. Next up I’m reading Something Like Normal, by Trish Doller, which I’ve been waiting for for like, five years. I’m also doing a lot of catch up reading. I hang my head in shame. I think our TBR stacks catch up with all of us- mine’s nearly as tall as I am now! Which…sounds less impressive for anyone who’s ever seen me in person…So let’s say you get to corral a gaggle of YA authors: where do you go, and what do you do? Usually out drinking, sometimes off to eat pie (as in Y’ALLFest in Charleston, SC) and once even to a castle in Ireland. Beating the castle in Ireland is going to be a challenge, I think, though there are a bunch of places I’m kind of wild about doing a retreat at, once my baby is a bit older. People keep sending me drop dead amazing retreat ideas (I have one friend who is trying to get a group together in Costa Rica!) but I just can’t leave her alone too long right now. Maybe next year. I mean, Costa Rica! Thank you so much for stopping by, Diana. 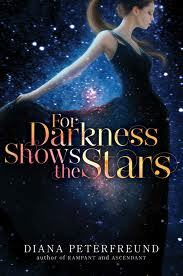 Everyone else, if you haven’t read For Darkness Shows the Stars yet, do NOT miss out on this amazing book, and don’t forget to check out Diana’s website for information about signings and upcoming projects.